Of course you can create and send emails in different languages in our system. At the moment we offer our system in German, English, French, Italian, Dutch and Spanish . But you can also create mailings and forms in other languages. Our system supports almost every character when sending mails, so that any language can be used. In general we recommend to separate the recipients (depending on the language). Accordingly, you create a separate list for each language (under the menu item [Lists]). 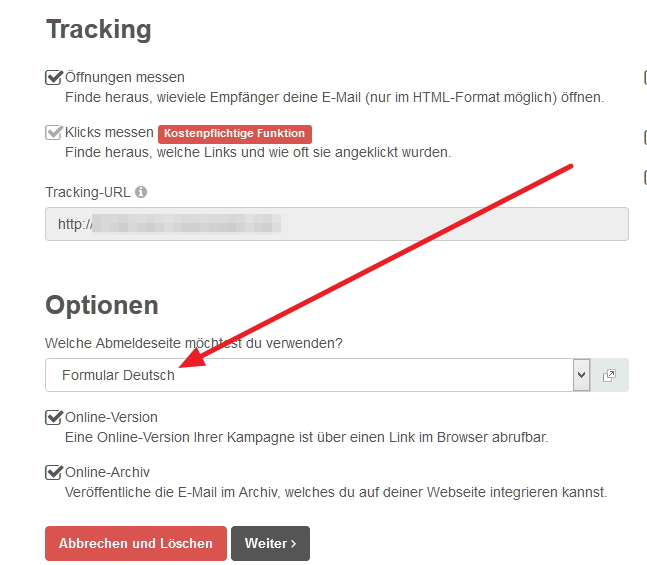 To ensure that subscriptions and unsubscribes are also available in the correct language, create a new form for each list (and thus for each language) (under the menu item [Forms]). 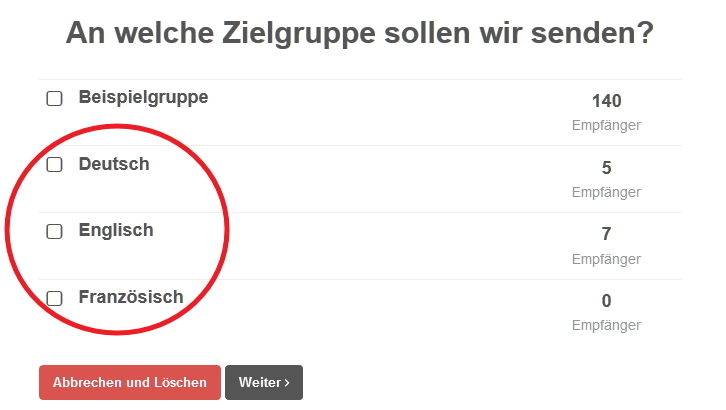 This way you can create a newsletter for each language (under [Emails] > [Create Email] > [Create simple email]) and allocate it to the respectice target groups. Please note that you also have to assign the respective unsubscribe form in the correct language. When creating your emails, the standard texts (e.g. link for online version, unsubscribe link etc.) 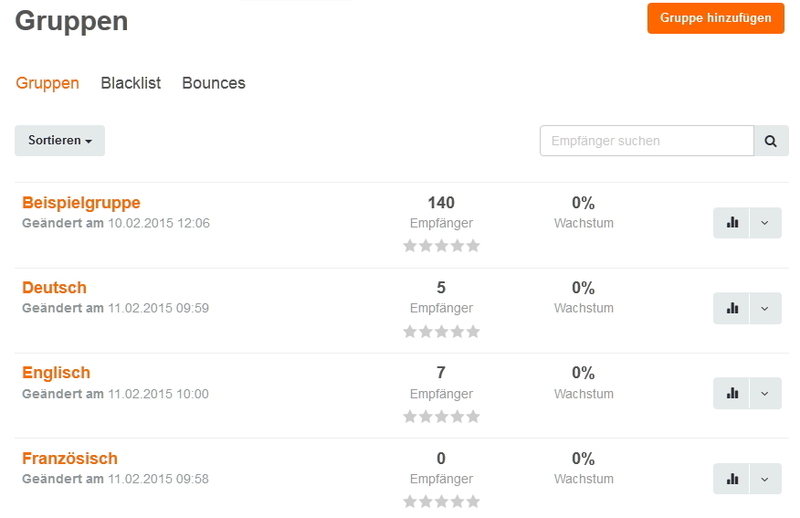 are only available in German and English, more languages will be available soon. If you want to send mailings in another language, you can change these standard texts yourself. 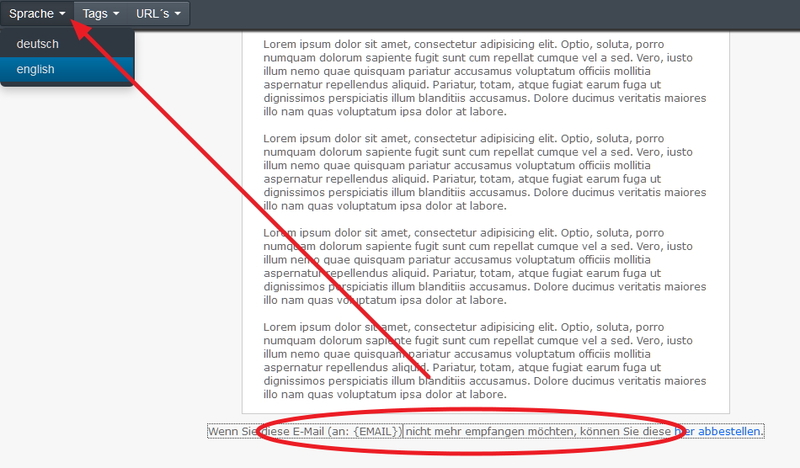 Just click on the respective section in your email to edit the text. Simply replace the standard text with your text. Please observe the properties of our template technology, if you want to save the design as a separate template.